With its two landmasses offering different, but complementary Caribbean flavors, the dual island nation of Trinidad and Tobago attracts visitors looking for relaxation and adventure. Cities and bustling market towns set the pace of cosmopolitan Trinidad, by far the larger of the two Caribbean sisters. 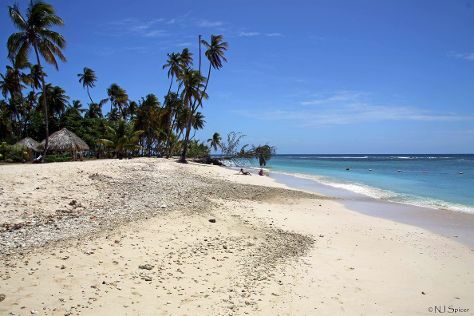 Holidays in Tobago tend to be more chilled out affairs, with island offering some of the nation's finest resorts and best kept beaches, along with a wealth of protected areas boasting diverse and abundant wildlife. Both have become famous for their Creole culture and traditions, with holidays in Trinidad and Tobago offering plenty of culinary and musical highlights, including red hot curries and spicy calypso music. Trinidad and Tobago is in Caribbean. Plan your trip to Trinidad and Tobago and other Trinidad and Tobago destinations using our handy Trinidad and Tobago trip planner. Create a full itinerary — for free! Visit a single location or make it a multi-destination trip.